in the name of authenticity. Nah! This isn’t a rant. 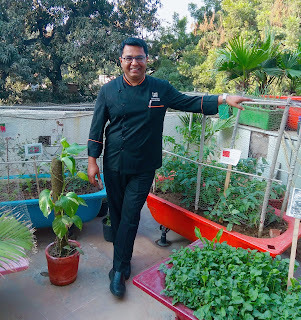 Rather, a reflection I had the other day at Fire in The Park, New Delhi, where Chef Abhishek Basu treated us to fresh, wholesome Indian meals that hardly tasted like the ubiquitous butter chicken and maa ki dal. 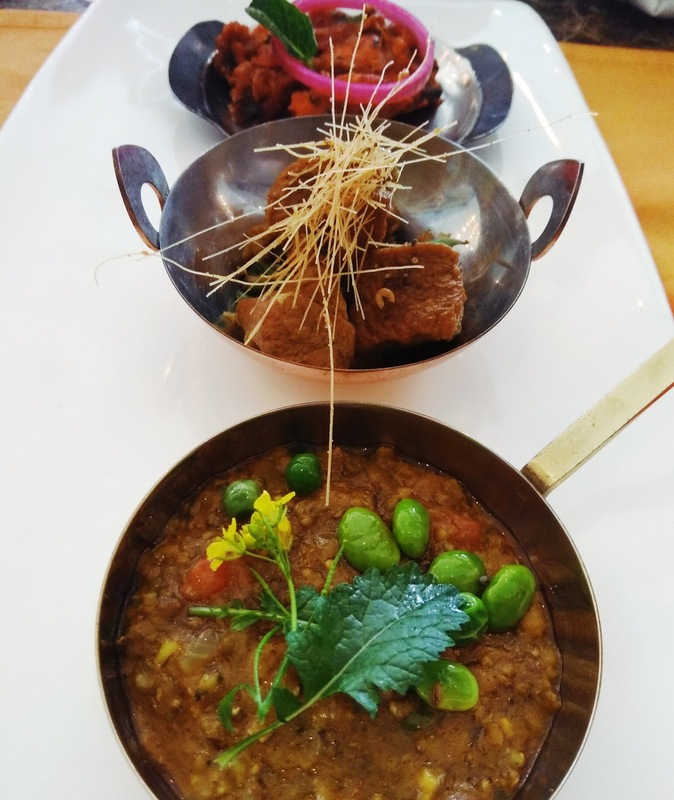 Even my husband, who would rather fill himself with sand than paneer butter masala if marooned on an island with a bowl of the same, looked engrossed in the kheech (a Rajasthani preparation of barley, with edamame green peas with a generous serving of desi cow ghee). But he didn’t have a choice. 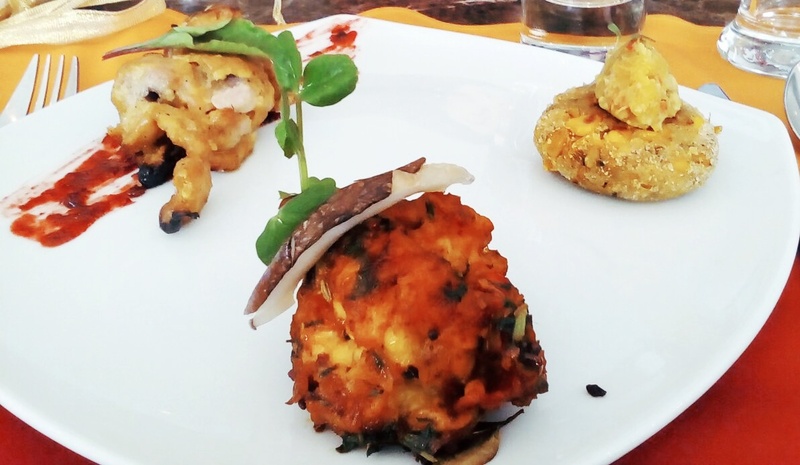 The winter menu boasted of unique preparations that paid a tribute to indigenous flavours from the country’s heartland. Every preparation had a unique taste and something about the meals reminded one of home and the humble hearth. This was Indian food with a nouvelle, global touch. If only the ‘authentic’ restaurants served food this good, we wouldn’t have this belligerent attitude towards Indian food. Now, here’s the catch. A unique initiative hosted by The Park every Sunday is the Delhi Organic Farmer’s Market, where a host of organic food and vegetable organisations sell their produce to the gourmand and the discerning. It’s a buzzing marketplace at the five-star property. The Fire menu hence appropriately has retained the organic variants in its menu to a large extent---80 percent. That’s why when you put the food into your mouth, you will feel the freshness. After the meal as Chef Basu, who talks less but works up a darn storm in the kitchen, showed us the hotel’s kitchen garden, we felt less guilty about stuffing ourselves. The food was yummy. 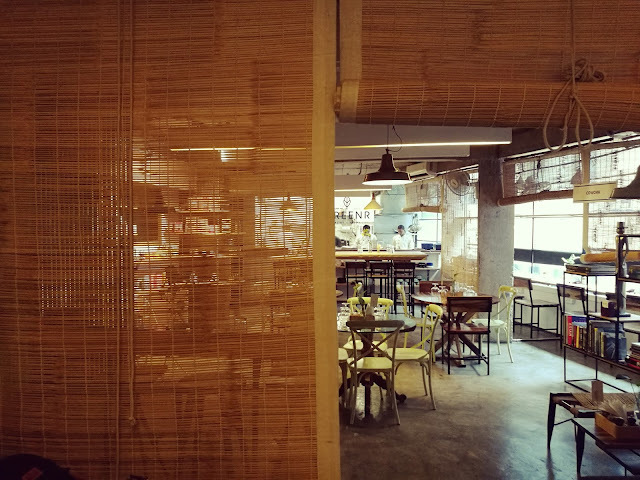 But, also the realisation that what we had eaten was fresh and nourishing, full of microgreens that we were now seeing growing before us, made the afternoon absolutely worthwhile. We were living the farm-to-table concept right before our eyes. A trend that has us foodies in its grip of goodness. 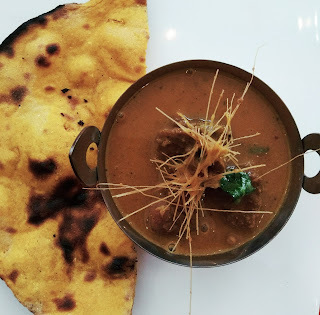 While the menu was crafted accurately to give us a preview of what the restaurant will be serving through winter, what I really liked was how the humble Indian flavours were given contemporary spins. Starfruit is something we snacked on as kids, loving its hyper acidic taste with pinches of rock salt. 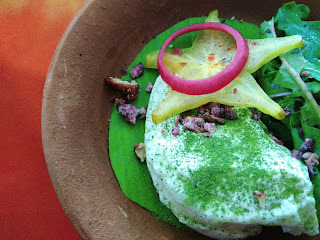 In the amuse bouche the chef had paired the fruit with a creamy burrata cheese, beetroot leaves, moringa powder and candied nuts. It was a beautiful way to combine textures and tastes as the neutral cheesy flavour countered the sharpness of the fruit. 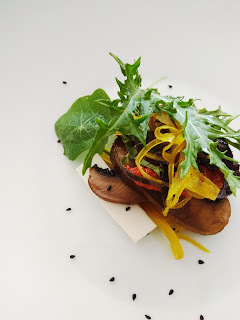 Next up was the home-pickled Portobello mushroom salad that I fell in love with because of the accompanying candied raw papaya slivers, given my yen for sweet things. Mizuna and nasturtium leaves added the freshness while tofu and sundried tomatoes brought in the bite. Plated beautifully, this was the stylish side of the reticent chef that I was noticing and loving every bit of it. 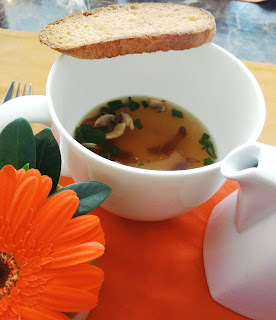 The Murg Khumb ki chai served with ginger and an aniseed and cumin rusk was a clever take on the classic consommé. Served in a teacup with a rusk biscuit, this was a soup perfect to warm up winter evenings. The husband took a second helping and later declared that this was a winner for him. The next course was three-way starter showcasing flavours and spices from different parts of India. While I found the amla and avocado guacamole overshadowing the Mahabaleshwar corn pattice and the stir-fried Guntur chilli prawns pretty regular, I liked the Murg Neza kebab immensely. The rozelle chutney that came with it was immaculately sweet and sour and spiced up the meat nugget beautifully. Floored by so much variety already, we waited for the mains to arrive. They read appetising enough on the menu. And when they came, it was cuteness overload. The plating was done in small utensils and we liked that the portions were rightfully balanced so that one could savour every dish. The kheech was rustic and humble. It was basically a khichdi from Rajasthan that tasted light and comforting. The timur pepper (Nepalese schezwan pepper) boti masala with beans foogath was aromatic (we could smell the lemon emanating from the mutton) but a tad too bland for my taste. One must have it with steamed rice to enjoy it in its entirety. We were even served Fire’s signature tawa chicken masala. While I’ve had chicken tawa masala in other eateries this was a lot less mushy and the dry gravy gave it a more robust touch. 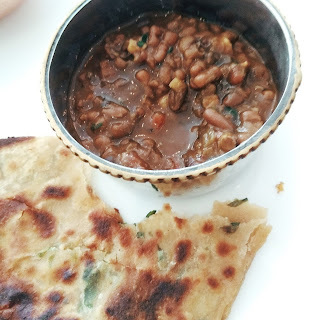 The best of course was the joshimath black smoked dal and I had a big bowl of it with a methi paratha. It was bliss in a bowl. This was the first time I was having horse gram and after tasting the pulses I made a mental note that I would be making it at home soon. 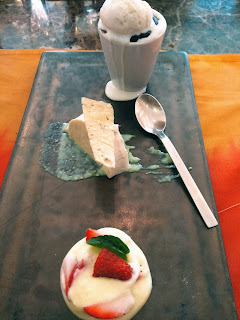 Desserts came in the form of a sugar free baked chamomile custard with popped chaulai lavash and pistachio cream. While many would fall for its subtle flavours, I prefer my ending to be a bit sweeter. So, I hinged towards the Udupi coffee and chocolate lava cake served with vanilla bean gelato and it was just appropriate for that sugar rush. The best of course was saved for the last. 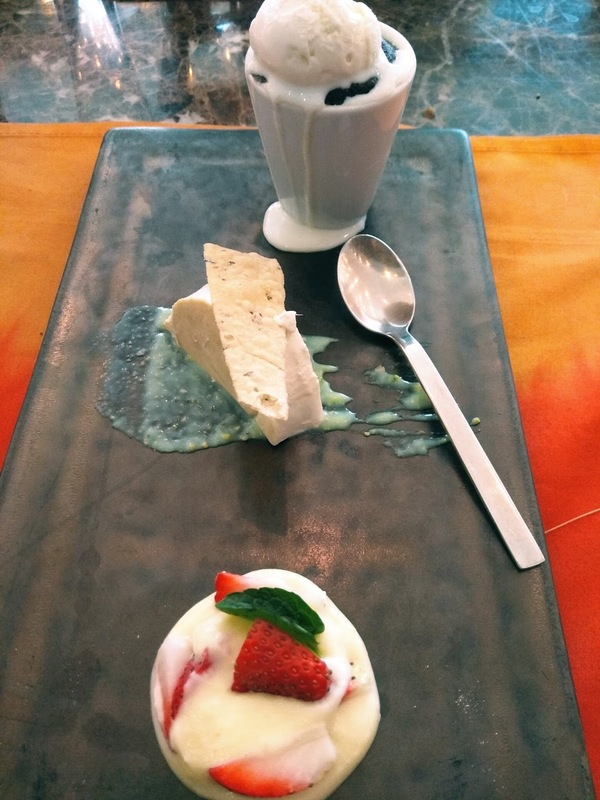 Wild honeyed strawberries, thalassery black pepper accompanied by spiced mascarpone dollop. They should christen it HEAVEN.